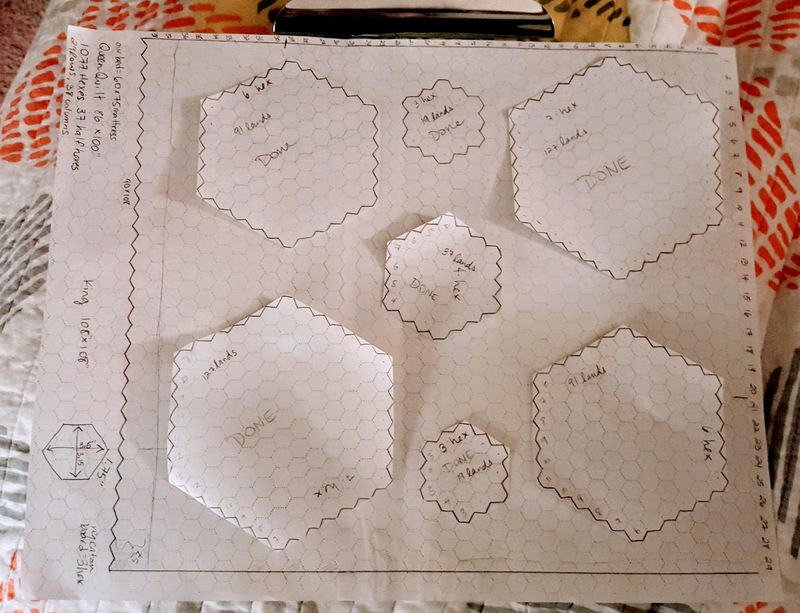 Once I decided that I definitely wanted big hexagons made of hexes, I cut out different sizes of megahexes and played around with them on my paper mock-up until I found a pattern that I liked...semi symmetrical, but not perfectly. 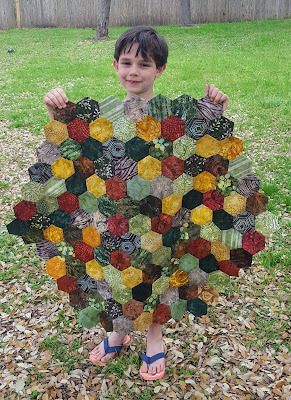 I was also working with the fact that I had completed one of the big 7 Hex megahexes so that had to be part of the design. No way was I going to pick out any of those once they were sewn into a big landmass! 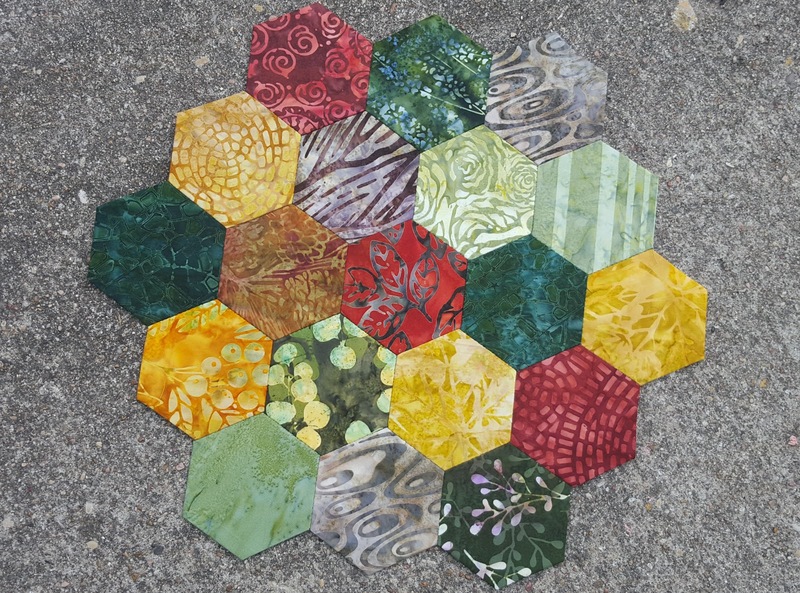 I also really wanted to include some of the 3 Hex sized megahexes because that's the size of the original Settler's of Catan game board, the one that started all this in the first place! 6 Hex ....still need to finish! 7 Year old with a 7 Hex for scale! That's 511 Land Hexes! I'll be honest, I did a lot of sewing and watching "Hoarders" on Amazon Prime for two weeks while I was sick with a horrible sinus infection that made my head, face, and jaw ache constantly. Getting so much sewing done was the only silver lining to that awful experience--being sick while pregnant is terrible! 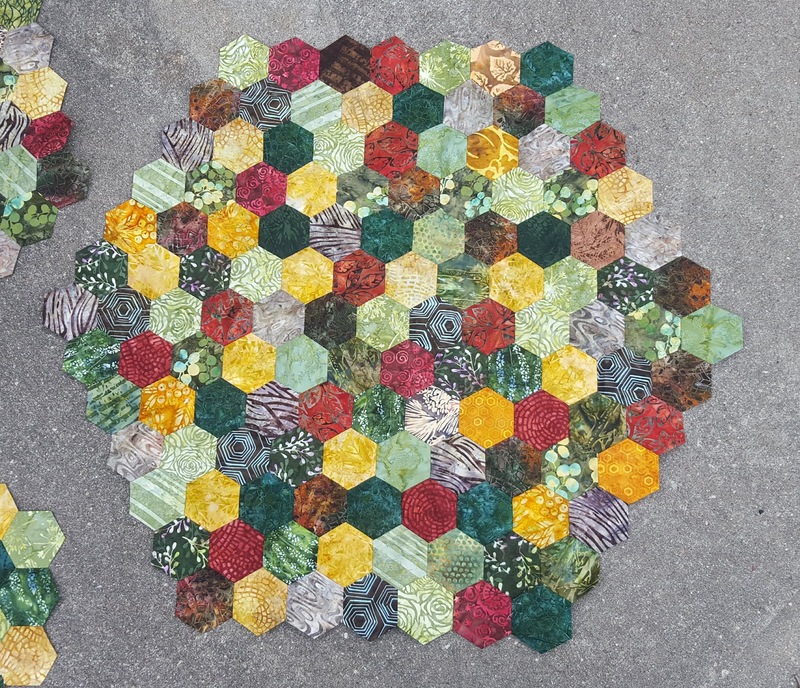 The rest of the hexes in the quilt will be water, and I'll need around 566 of those, so my next step will just be basting water hexes until I run out of fabric...which I ordered more of, because when I counted how many squares I had ready to baste, I came up with only about 300. I ordered three more half-yards of water fabrics, and I hope once I cut them into squares it will be enough. Of course, I also have a ton of other projects going right now that I should be working on...like stuff for Sherwood Forest Faire, and um, a baby quilt for my baby due in seven weeks. 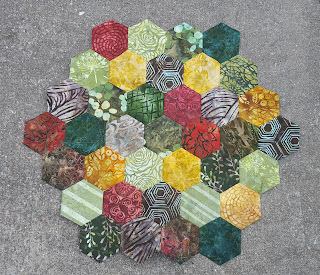 But I want to at least get to where all my lands are sewn into megahexes, and maybe make a new 3 Hex sized pillow for my couch downstairs to replace the old falling apart ratty one.